Buying a dog is an important decision not to be entered into lightly, so take the time to figure out exactly what you want before you begin visiting breeders. A step-by-step plan can help keep you on the right track so you wind up with the right dog for your lifestyle. What exactly do you want from a dog? Are you looking for a companion to snuggle up with when you come home at night? Or are you interested in acquiring an outstanding specimen of a breed that you can show? Your answer will determine your ultimate choice between one dog and the next. You can find perfectly lovely dogs that will make fabulous companions even if they don't conform enough to their breed's standard to make them viable show candidates or breeding stock. How much room do you have in your house and your yard? This will help you decide whether to look for a small dog, a large one, or something in between. Will the dog be a family pet? If so, you need to choose a dog that will make a suitable companion for everyone in the household, including any young children. Will the dog be a personal companion? If you're single or have grown children who have moved away, you can choose almost any breed you feel equipped to handle. Do you want an athletic dog that can take part in various activities with you, or would you prefer a dog that simply makes a quiet, loving companion? Are you looking for a breed that can provide some protection? If so, a breed like a Doberman or a German Shepherd would make a better choice than a Bichon Frise. How much time can you spend grooming? A breed like a Shih Tzu requires daily coat care, while an Australian Cattle Dog needs very little grooming at all. Do you require a puppy, or would you be happy bringing home an adult dog? Both can make good pets, and adult dogs are sometimes already trained. Dog breeds are like snowflakes in that no two are exactly alike. Each breed was developed with a specific purpose and appearance in mind. Some were bred to perform a job, while others were bred mainly for beauty and companionship. Once you've decided what you want from a dog, you can begin looking at specific breeds that might work for you. The Complete Dog Book, from the American Kennel Club, offers breed profiles and photos of the 153 currently recognized breeds. Perusing through a book like this can really help you narrow down your choices and avoid making an unsuitable impulse purchase. 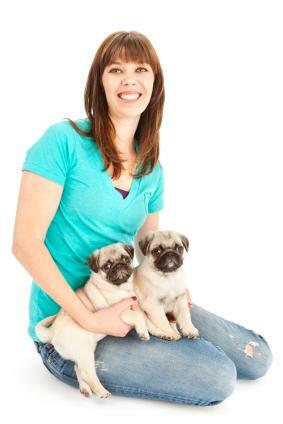 Try to get down to a maximum of two breeds before you begin searching for breeders. Purebred dogs come with a wide range of price tags. You can find some for as little as $300.00, or you might have to pay over $3000.00 for a particular breed. The price takes into consideration the rarity of the breed, any veterinary care and testing the dog has received, and the individual quality of the dog or puppy in question. It's your job to take a good look at your budget, decide how much you can spend to purchase the dog, and also keep in mind the cost of that dog's future care. Bottom line: don't buy more dog than you can afford. Dog breeders are everywhere, but they are not all equally responsible in caring for their stock and breeding for health and perfection. Take the time to really investigate different breeders. The American Kennel maintains a list of breeder referrals, and this is an excellent place to begin your search. You'll be directed to the parent club of the particular breed(s) you're interested in, and the club will give you contact info for the breeders who have met their quality standards. Although meeting puppies is your ultimate goal, don't let that keep you from sizing up the breeder before you make a decision to buy. What you see and learn while you're at the breeder's kennel or home can tell you a lot about how the dogs are raised. The dogs, as well as their living quarters, are clean. Fresh water is available for them. The dogs seem happy interacting with the breeder and show no fear of that person. The breeder keeps health records on the dogs and can show you records for any dog you're interested in. The breeder can produce any necessary registration papers if the dogs are advertised as purebreds. The breeder is happy to answer all your questions and not just in a rush to sell you a puppy and send you on your way. This includes offering general care info on feeding, grooming, and training. The breeder takes time to ask you questions about your experience with dogs and wants to know details about where your puppy will live. The puppies have at least had their first shots and are between eight to twelve weeks old minimum before being allowed to go to new homes. The breeder is willing to give a written and signed genetic health guarantee, plus at least a two-business-day window to have the puppy examined by the vet of your choice. The breeder encourages you to keep his or her contact information in case you find you have more questions later. The puppy shouldn't have any noticeable discharge from its eyes or nose, and it's free of parasites. 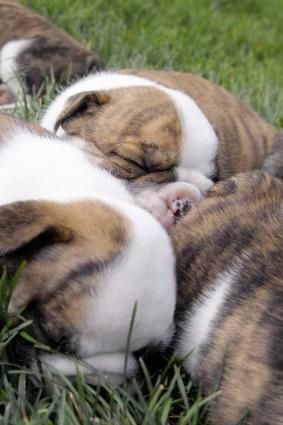 The puppy is active, moves around easily, and plays naturally with its litter mates. The puppy is curious about you and willing to interact with you, even if it may be a bit shy at first. The puppy may naturally want to chew on your fingers, but it shouldn't show any sign of true aggression toward you. The puppy isn't afraid to explore its surroundings, and doesn't become unreasonably frightened at sudden noises. The puppy should turn toward you if you clap your hands when it isn't looking. Failure to respond might mean the animal has a hearing loss, which is prevalent in some breeds. If you've carefully gone through all the steps, you will be well on your way to making a choice about which dog you want to buy. However, the decision may still not be quite as easy as you think. In the end, you have to listen to your intuition. You'll know it in your heart when you finally meet the right dog, and the rest of the details will fall into place.